…NCCFC is a Force, Not just a Destination. To serve God, lead his people in the continuing advancement of the gospel through ministry, education, personal Christian development and witnessing, and to transform the world by administering love. One God – The Father, Son, and Holy Spirit. The Bible is the infallible, inspired Word of God. Sin separates us from God – falling short of His glory. Christ’s death and resurrection paid the price for us to reconnect with God. Belief in Jesus brings forgiveness of sins and provides right to eternal life. The Holy Spirit indwells us and enables us to accomplish God’s will. On the first Sunday, October 5th, 2003, what God had previously formed as a small Bible Study group in the home of Pastor Andre’ Byrd, Sr., became the foundation for what is New Covenant Christian Fellowship Church. The founding members, totaling twenty-one inspired Christians, prepared diligently and prayerfully for this inaugural service which was held in a warehouse located at 5613 Bluebird Ave. in the Oak Cliff area of Dallas, TX. Approximately 80 people were present on this day. Though no one join on day one, without fail, the membership increased every week from the second worship service, well into 2004. The people of the early congregation had a mind to work, hearts of love, and an eagerness to serve the Lord. Access to the warehouse was very limited because it was an operational place of business. Therefore, the congregation would meet on Saturdays to convert a portion of the warehouse into its sanctuary – setting out chairs, setting up instruments and pulpit, and rolling red carpet along the center isle and pulpit area, reflecting the way for those who would choose to join this body of believers. Potentially, all set up and preparation occurred on Saturday. It was also the designated day for band, praise team, and choir rehearsal, usher practice, and leadership meetings. Though Saturdays were used to “prepare the altar”, so to speak, Sundays were the time to offer our “sacrifice” of praise for all that God was doing in our lives. Everyone looked forward to Sundays because the presence of the Lord was always evident – the people’s hearts were sincere, the Holy Spirit was in control, and the people were delivered into the safety of God’s family. At the end of each service, a reception was held, and after everyone had been greeted, the membership put away all evidence of the sanctuary and the building was again a warehouse until the next week. Mid-week Bible study continued to be held a Pastor Byrd’s home. On Sunday, December 7th, 2003, the worship services were moved to the 12th floor of the Ramada Inn located at 1011 So. Akard, in downtown Dallas. Though the move was abrupt, God was directing our paths, as what seemed to be an out-of-the-way location became a nucleus drawing people from all areas of the metroplex. In fact, attendance and membership grew so strongly that we soon had to spread into two adjoining banquet rooms. Sunday worship continued to be a powerful, life-changing experience and was often nearly standing room only. Likewise, Bible study grew such that it had to be moved from Pastor Byrd’s home to the hotel, and the two banquet rooms were converted to separate adult and youth classes on Wednesday nights. In a move of absolute faith, on March 25th, 2004, an offer was made on our current location, 2025 W. Wheatland Rd. Conventional wisdom would say that even if the offer was accepted, we would not be able to make the purchase. But the assurance we had through faith in the Lord, set the relatively small congregation into action. On April 6th, 2004, with a theme of “Giving Back What God Has Given to You” and Deuteronomy 16:9-11 as our reference scripture, our financial commitment campaign was established to raise the down payment for the building. 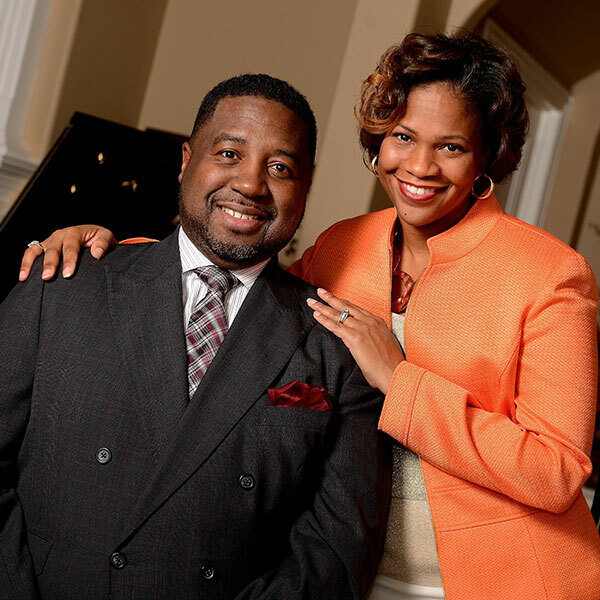 On August 29th, 2004, we closed on the building and rejoiced in during our first worship service here on September 5th, 2004 – Pastor Byrd’s birthday. Today, New Covenant Christian Fellowship touches the lives of more than 600 active members, Bible teaching has grown to multiple courses for adults and youth, its ministries have expanded to include special community outreach efforts, more than 9 deacons have been ordained, and there are 20 sons and daughters in its preaching ministry. Having been led as we believe, by the Spirit of God to receive the Lord Jesus Christ as our Savior: and on the profession of our faith, having been baptized in the name of the Father, and of the Son, and of the Holy Spirit, we do now in the presence of God, angels and this assembly, most solemnly and joyfully enter into covenant with one another, as one body in Christ. We engage, therefore, by the aid of the Holy Spirit, to walk together in Christian love; to strive for the advancement of this church in knowledge and holiness; to give it a place in our affections, prayers and services above every organization of human origin; to sustain its worship, ordinances, discipline and doctrine; to contribute cheerfully and regularly, as God has prospered us, towards its expenses, for the support of a faithful and evangelical ministry among us, the relief of the poor and the spread of the Gospel throughout the world. In case of difference of opinion in the church, we will strive to avoid a contentious spirit and if we cannot unanimously agree, we will cheerfully recognize the right of majority to govern. We also engage to maintain family and secret devotion; to study diligently the word of God; to religiously educate our children; to seek the salvation of our kindred and acquaintance; to walk circumspectly in the world; to be kind and just to those in our employ, and faithful in the service we promise others; endeavoring in the purity of heart and good will toward all men to exemplify and commend our holy faith.